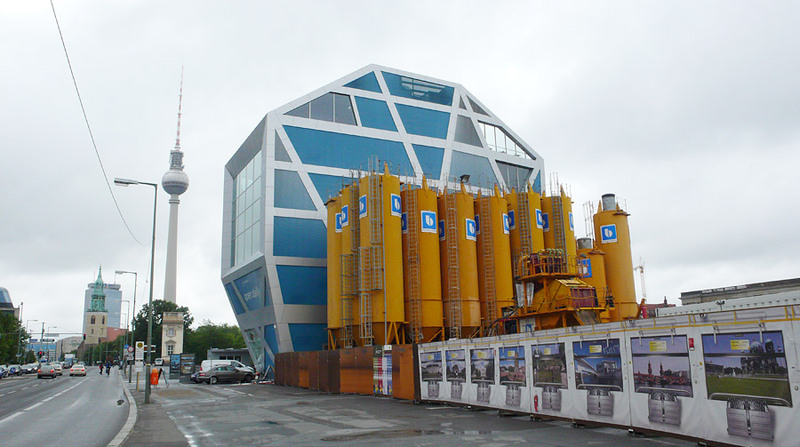 The Humboldt Box, that wonkoid info pavilion for the future Berlin City Palace, has already been degraded to a prop in a builder’s yard barely a year after its opening. Its strategic placement in the elbow of Unter den Linden – ensuring maximum visibility – has been obfuscated by twenty-four tightly packed yellow tubes of “B” brand ready-mix; Botox ampoules waiting to be syringed into the substrate in the nip-and-tuck-job scheduled for 2014. Dubbed variously by the Berliners as either a “Klotz” (a kind of catch-all derogatory term for anything built after 1947, and roughly as long as it is high) or a “Ufo”, the Humboldt Box can now abandon any flakey claims to high-techery and slum it with the rest of us in an urban reality defined as much by building sites as by anything else. Every situation has a story to tell if you read between the lines. 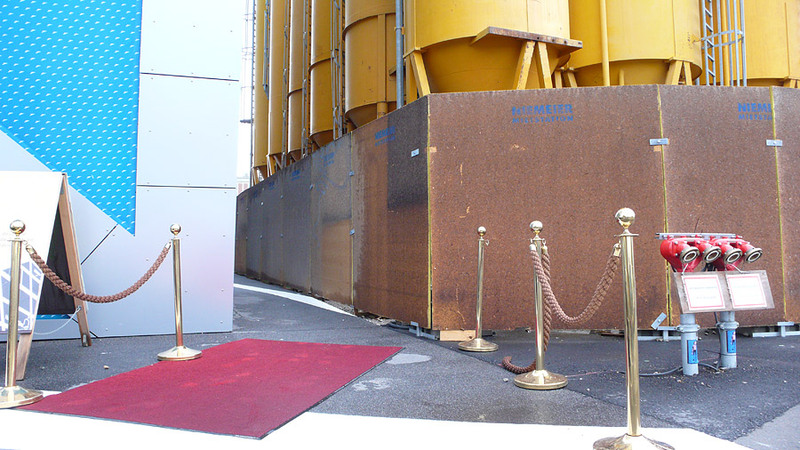 In this instance it’s surely the soggy VIP red carpet leading round the back through a dank corridor of fetid wood-chip paneling. Venture further and a concierge with braided shoulder pads is waiting to mug you, armed with a magnum of champagne and a Berlin skyline snowdome.